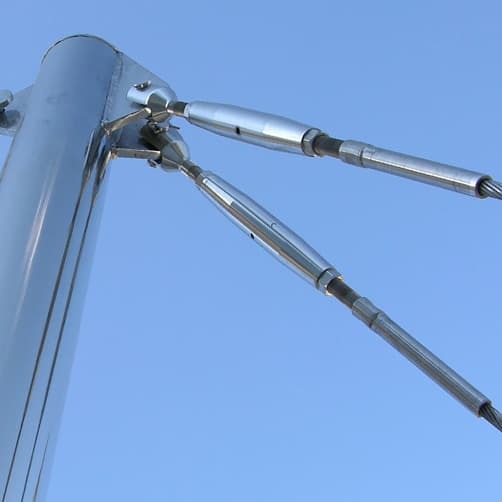 Wire rope assembly with fixed fork to fork tensioner end fittings, in a choice of 7x7 and 1x19 strand wire rope, each cable is made to measure with all components produced from marine grade stainless steel. 7x7 = more flexible, less strength. 1x19 = less flexible, more strength. Tension on the wire is achieved by rotating the fork tensioner. The wire remains static and will not turn. 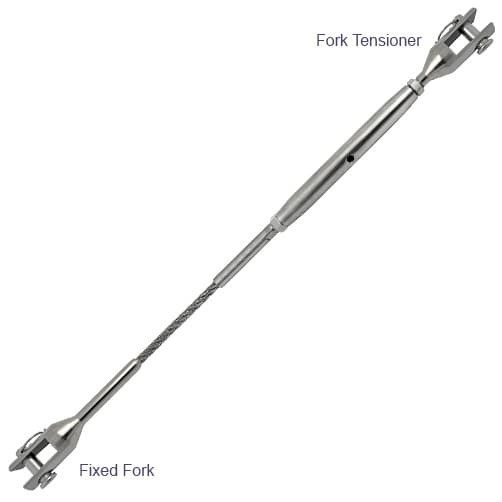 This high quality stainless steel fork to fork wire rope assembly with rigging screw tensioner is engineered and manufactured here in the UK. 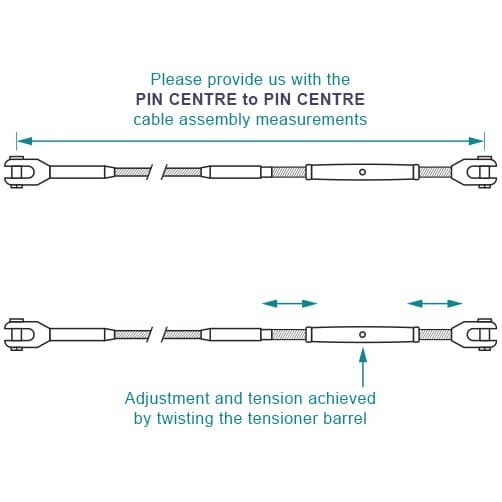 Please provide us with the pin centre to pin centre cable assembly measurements. Adjustment and tension is achieved by twisting the tensioner barrel. Dimensions of the forks for each end of the wire rope assembly. 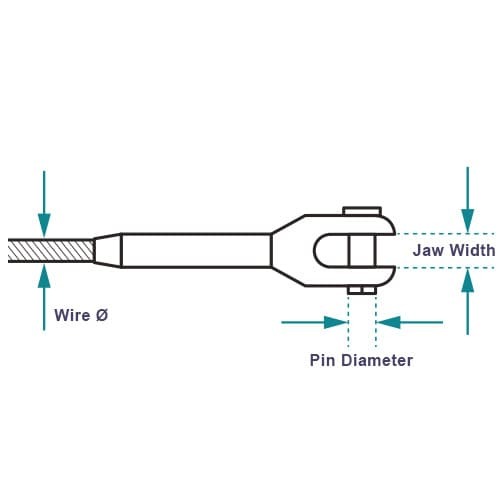 You may need these dimensions to aid in specifying the type of eye or lug attachment. All in 316 Marine Grade stainless steel. Exactly as described, very pleased with the quality. Brilliant product made to order in quick time.